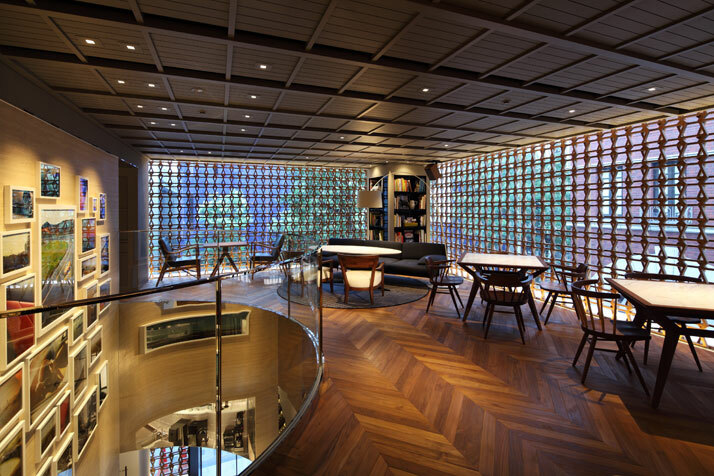 Japanese design firm Wonderwall has recently completed a unique project for Lexus, the luxury vehicle division of Japanese automaker Toyota. 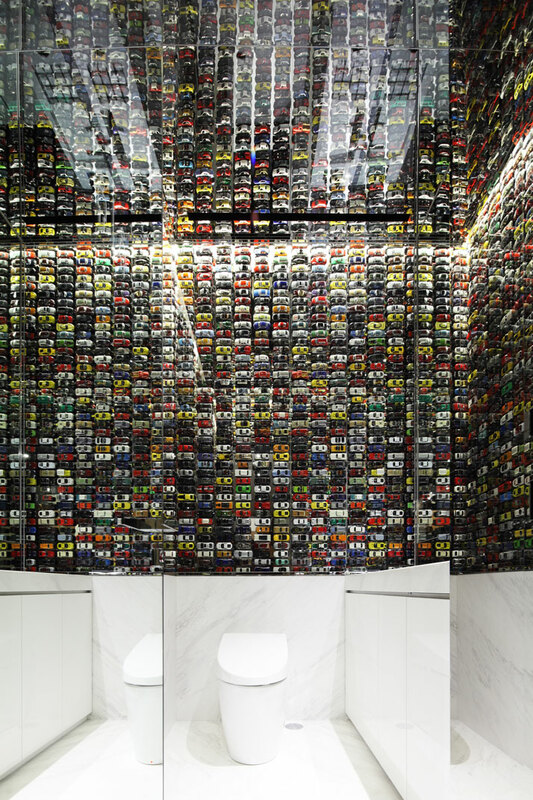 The Intersect by Lexus store in Tokyo, Japan, opened its doors this summer, and is the brand’s very first flagship store that doesn’t actually sell any cars. 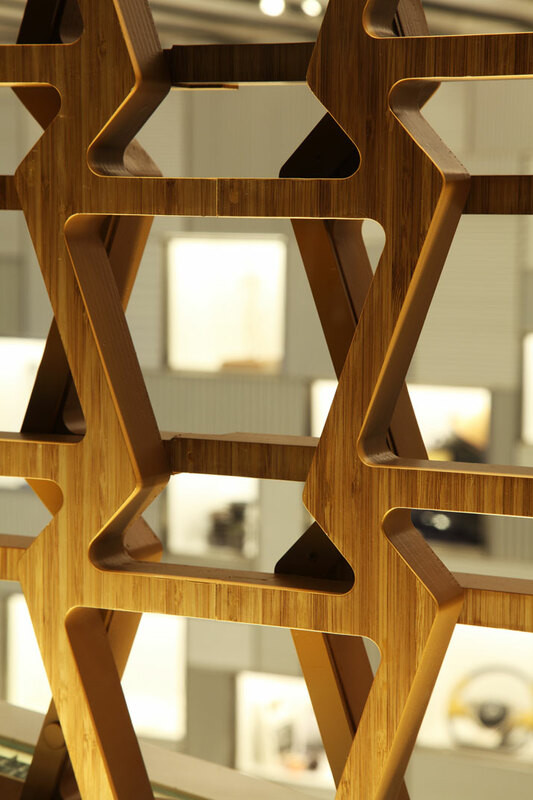 Neither a dealership, nor a traditional retail space, the store has been conceived as a multifunctional social space where visitors can experience the Lexus experience without sitting behind a steering wheel, but rather through design, art, fashion, culture, film, music and technology. 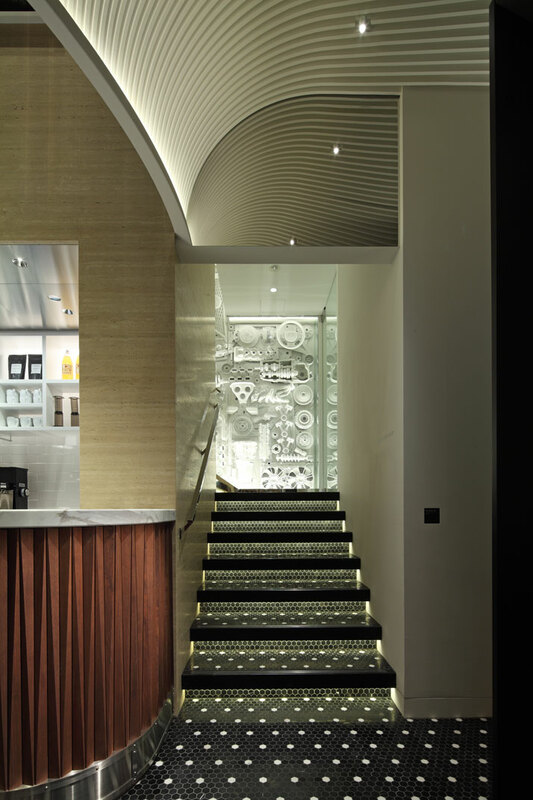 In its two floors, Intersect by Lexus accommodates a café, a garage that can function also as a gallery, a store, and a library lounge which serves light meals. 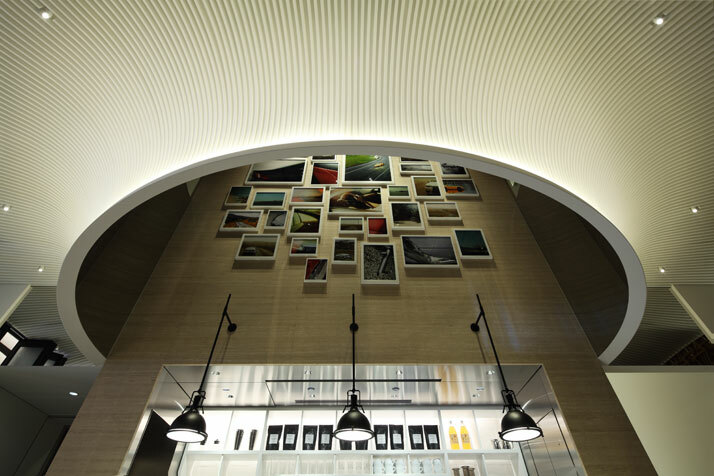 The dedication and perfection that goes into producing each and every Lexus car is clearly reflected in the interiors of the new Intersect store. 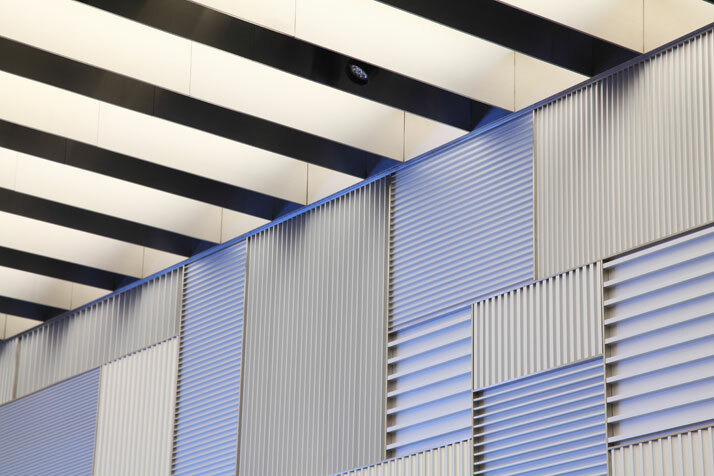 The stunning wooden perforated screen covering the facade is made of a bamboo-wood motif inspired by the trademark ‘‘spindle grille’’ of Lexus cars, while harmoniously curved lines and grooved surfaces inside the store echo the aerodynamic shapes of the company’s racing automobiles. 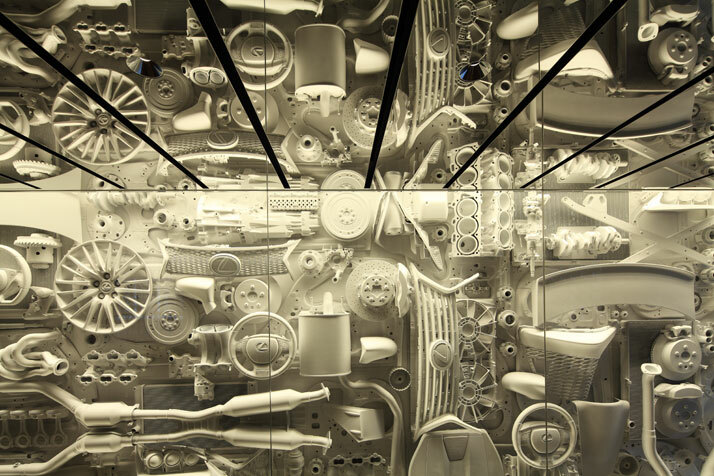 Moreover, an entire wall is covered with real Lexus car parts painted white (the composition was put together by Katayama himself at the Lexus factory while standing on top of a ladder). 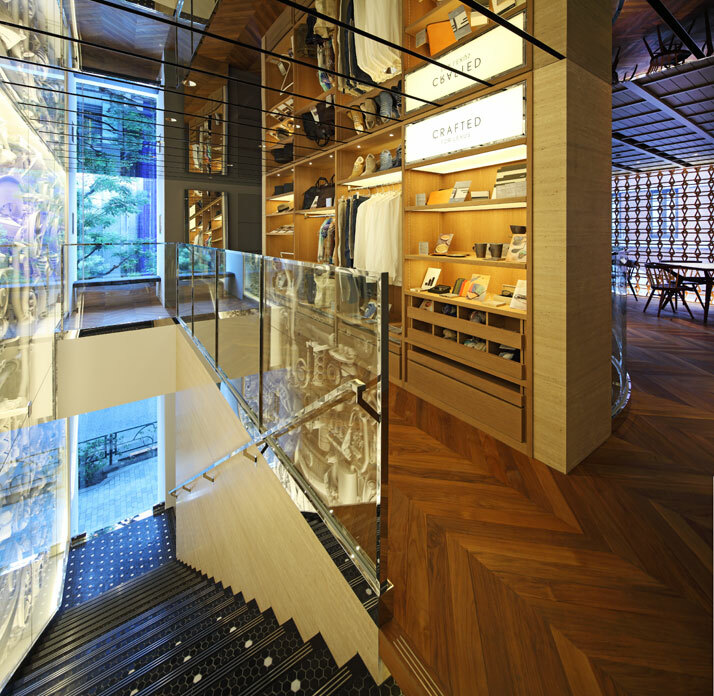 Another tribute to takumi is the fact that the shop on the first floor only sells products made by Japanese artisans, from perfectly-woven scarves to hand-glazed ceramics. 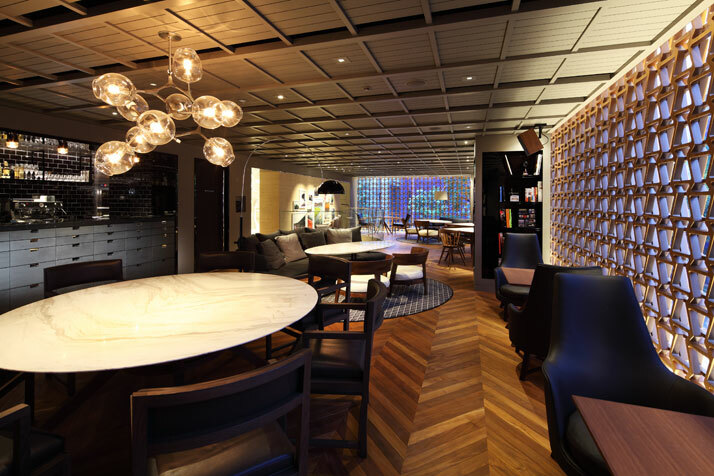 The products are part of the ‘‘Crafted For Lexus’’ initiative, a collaboration between the company and artisans’ workshops from all over Japan. Lexus is planning to open more Intersect stores across the globe, with New York and Dubai next on the list. 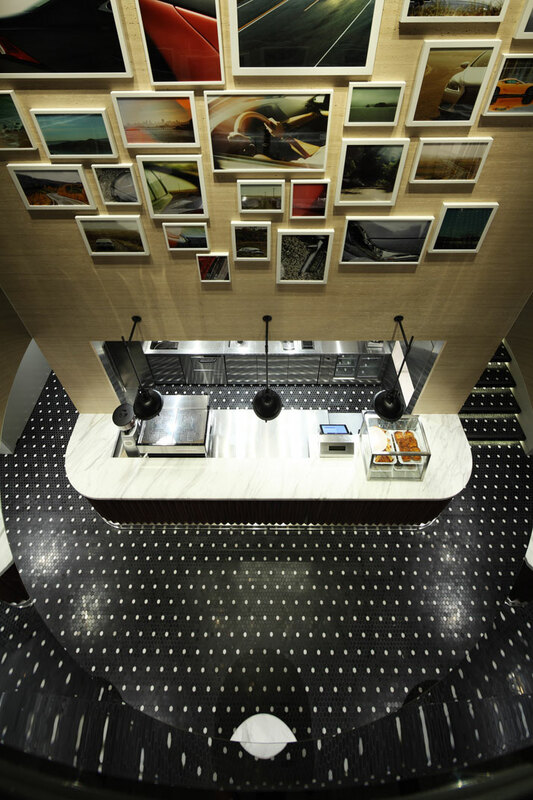 As Lexus’ global partner for its Intersect projects, Wonderwall Inc. will design these stores as well. As the name Intersect implies, the space seeks to be comfortable and inspiring for interaction amongst people and between people and cars, where everyone can relax as if in their own unique place, and make connections. 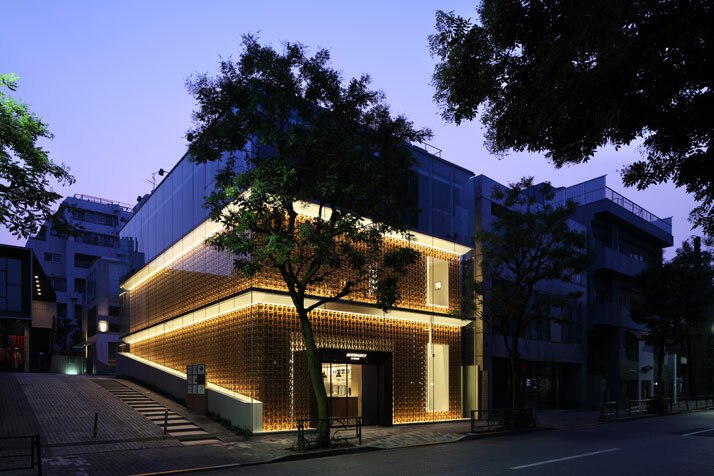 The fact that the store is located not in a business district but in the very hip Aoyama neighbourhood (a luxury retail destination where brands like Prada and Cartier also have flagships) further reveals that Lexus has launched its Intersect flagship as a multifaceted retail experience addressed to a wider audience. 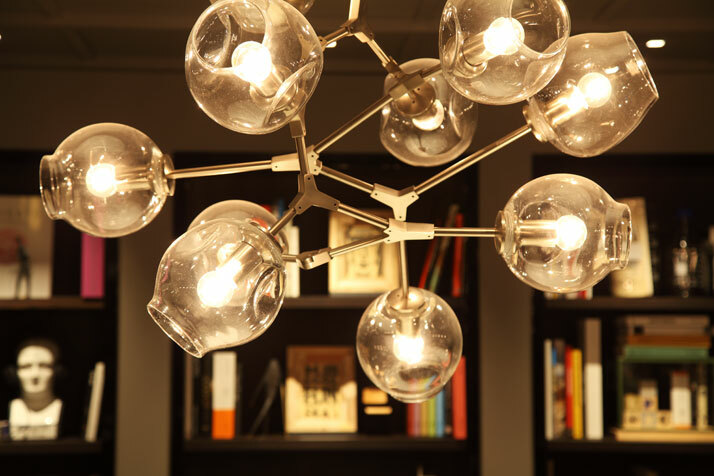 The designer behind the project is Masamichi Katayama, the founder of Wonderwall Inc. and world-renowned interior designer (also known for his playful design for Godiva Chocolatier in Tokyo). 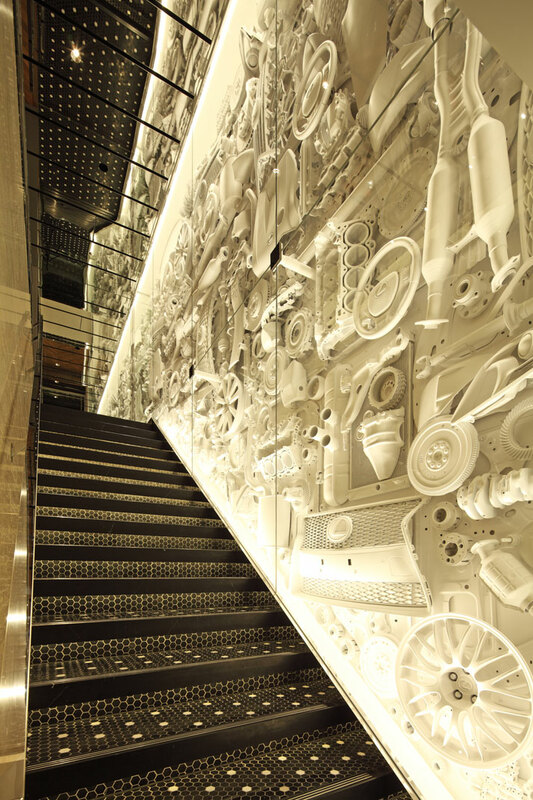 Katayama wanted to create a space where the values and ideals of Lexus are celebrated and portrayed in a calm, understated way. The main keyword here is ‘‘takumi,’’ which in Japanese means both ‘‘artisan’’ and ‘‘craftsmanship,’’ a concept deeply embedded in both Lexus and Wonderwall’s design and philosophy.